Ghanzi, the home village of my brother in law. Every year in December him, his wife (my sister) and their children visit "home" to go see the grandparents. I had initially planned to join them but i could not make it. Since the Ghanzi Airport is operating, you have an option of flying there if you are not too keen on driving long distances.. 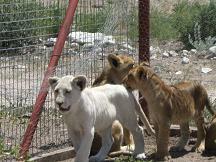 They went on a Lion Safari and even spotted a white cub!! 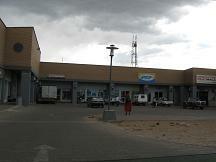 Shopped at the local malls for groceries and other essentials...(Ghantsi has 3 malls where you can do your shopping! ).....there is also a Bank with an ATM Machine......cool hey! 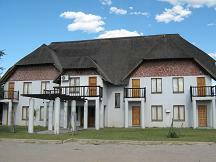 The town has two main hotels , The Tuatona lodge and the Kalahari Arms Hotel. See the lovely pictures below for detail. Both are luxurious and a bit pricey. If you are on budget the Tautona lodge offers camping and caravan parks which are very affordable. Overall they had a blast....and i am sure you will too! 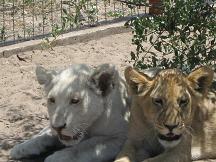 Hints and tips for getting the most out of your Southern African Safari. Includes advice on watching and photographing wildlife in the big-5 national parks of Etosha in Namibia, Kruger National Park, and Pilanesberg in South Africa and the Kgalagadi Transfrontier Park in Botswana.